Dr. Tortonesi’s main research activity investigates communications and management solutions for Internet-of-Things (IoT) applications in military and industial environments. 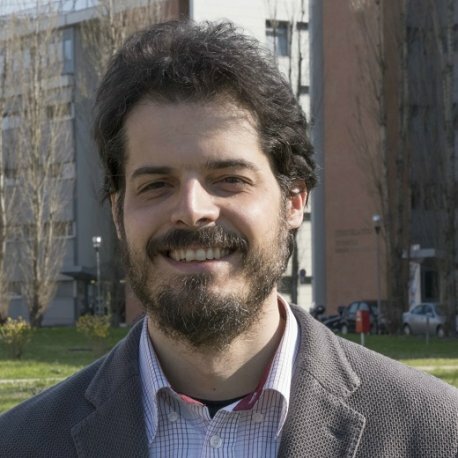 In the military context, Dr. Tortonesi studies and develops methodologies and tools to facilitate the adoption of commercial IoT solutions within military IT infrastructure for battlefield operations and to enable the integration of military and civilian systems to facilitate Humanitarian Assistance and Disaster Relief (HADR) operations in Smart City environments. This activity is carried out in collaboration with the United States Army Research Lab and the Florida Institute for Human & Machine Cognition. In the industrial context, Dr. Tortonesi’s work focused on the design and implementation of highly scalable e-Maintenance solutions for the remote monitoring and control of automated machines and of innovative control platforms for automated machines. This activity is carried out in collaboration with the R&D divisions of many world leading manufacturing industries, such as Carpigiani Group, FIAT Chrysler Automobiles, etc., and led to the realization of commercial solutions that are providing very significant economic benefits for those companies. Dr. Tortonesi’s research interests also include Cloud Computing, opportunistic networking, IT service management, and business-driven IT management. He has authored or co-authored more than 50 scientific papers, served in the technical program committee of dozens of international conferences and workshops, co-chaired several international conferences and workshops in the IT management research area, and is in the editorial board of 3 international research journals.